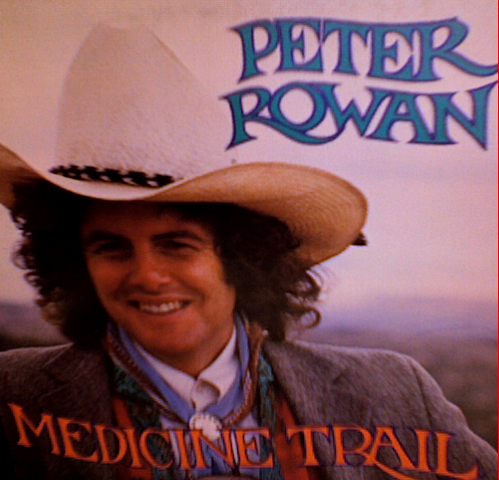 I’ve been listening to Peter Rowan’s music even longer than I’ve been aware of his name. The singer, songwriter and guitarist boasts a long list of credits that includes membership in such noteworthy groups as Old and In the Way, Bill Monroe’s Blue Grass Boys, Seatrain and Earth Opera; he has also recorded with his brothers as the Rowans and released one solo album prior to this one. Though his past affiliations have demonstated his versatility and produced much enjoyable music, at any rate, Rowan’s star has never shone brighter than it does on Medicine Trail, an eminently listenable, distinctively original blend of Tex-Mex, rock and bluegrass elements. Best cuts: the lilting “Riding High in Texas” and the sprightly “Dreaming I Love You,” both of which were penned by Rowan.